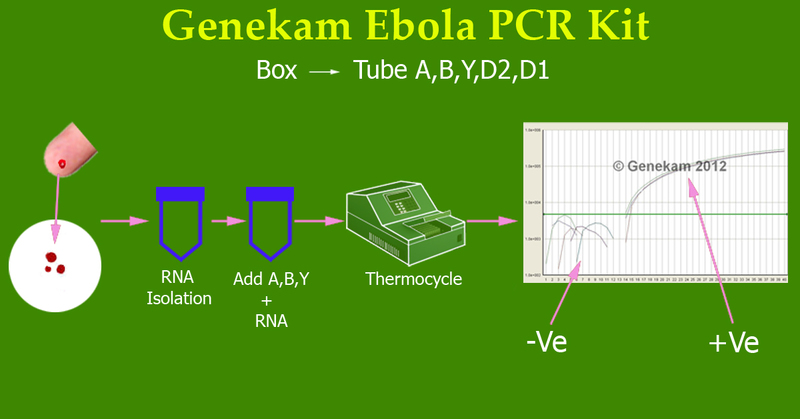 New products for Ebola virus: Ready time PCR kit Ebola virus (Zaire strain: Double check) FR169 100 reactions Euro 699,- Shortly we are going to launch different Kits for detecting the virus through Flowcytometry as well as Immunofluorescence microscope. Please wait for their release. 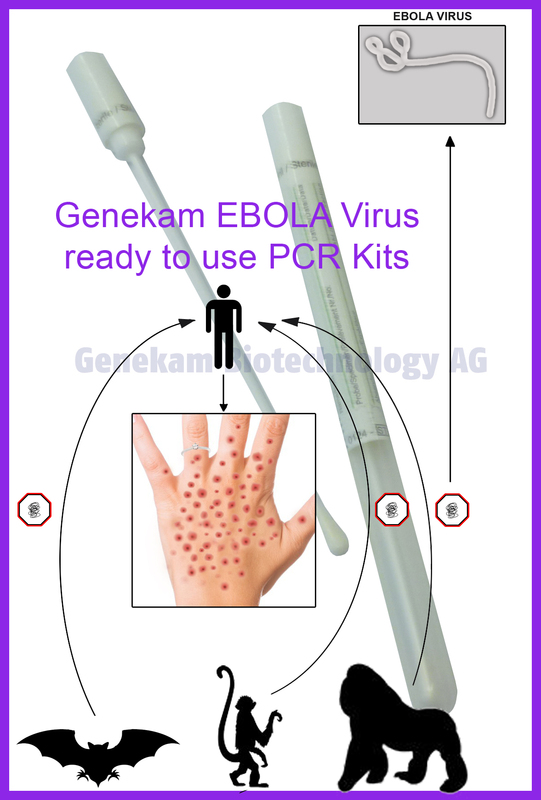 Genekam Biotechnology AG manufactures a number of kits for zoonostic pathogens. Ebola virus is one of them as it causes infections in human and primates, but its intermediate hosts are bats and pigs. The pigs can pose a real threat to spread this virus to other parts of the worlds. There are 4 different strains of this virus circulating in the world. At present, the aggessive strain has broken out in Africa. Ebola virus causes coagulation irregularities leading to red spots on body parts. It causes depletion of T-lymphocytes too. 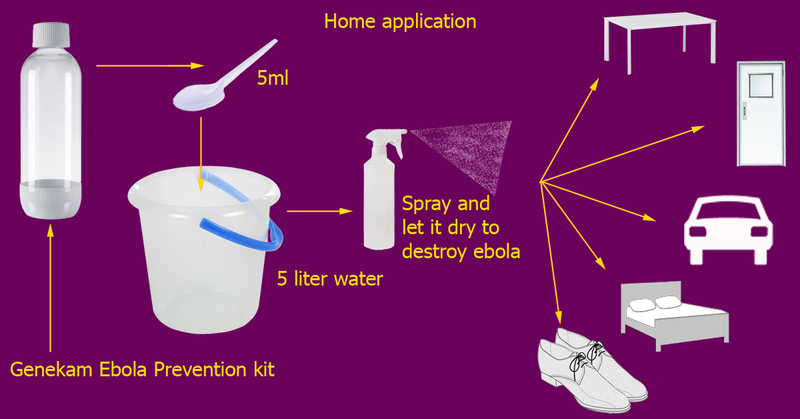 We have made a small video about the Ebola virus, which will be put on our website shortly. 2. There are many outbreaks going in the world like MERS in middle east: UAE. 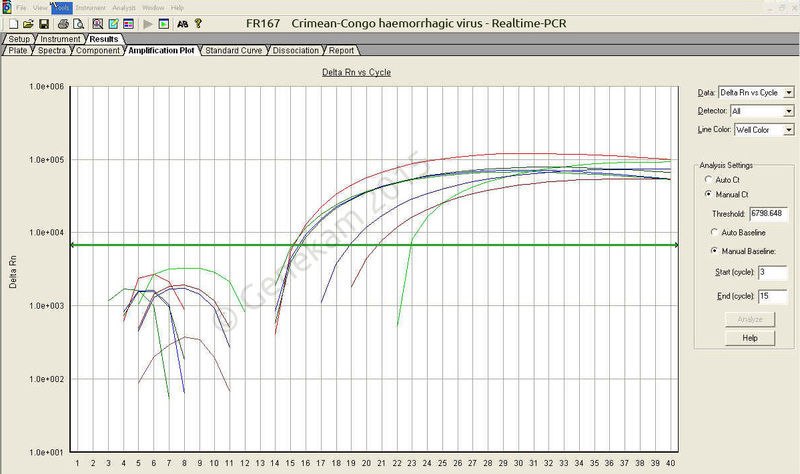 Qatar, Saudia Arabia and Ebola viruses in Africa. How poorly many countries are trying to contain these viruses indicates poor management of outbreaks of these viruses It seems that many countries are hoping a miracle and they think that they have to do nothing to prevent these viruses. Once these virus outbreaks go out of control, then they start calling help from world community particularly WHO and UNO. They think that it is their duty to give the all knowhow to control these infectious agents once there are out of control rather taking steps to control such diseases at initial stages. At present, it is possible for all countries of the world to establish some small molecular laboratory to detect such viruses at very beginning stage of outbreak or before the beginning of outbreak through regular testing of these viruses. The detection is the first step to control a disease. 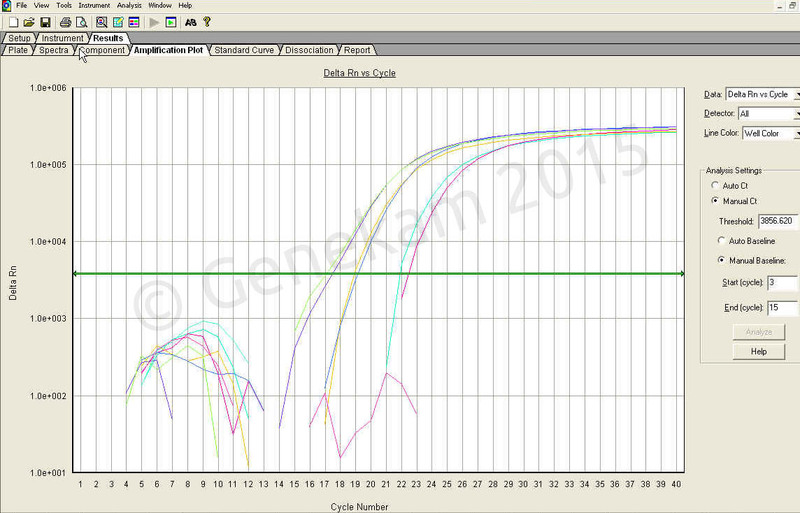 Once you detect the pathogen correctly through right method. After that one knows what possibilities are to combat this pathogen. 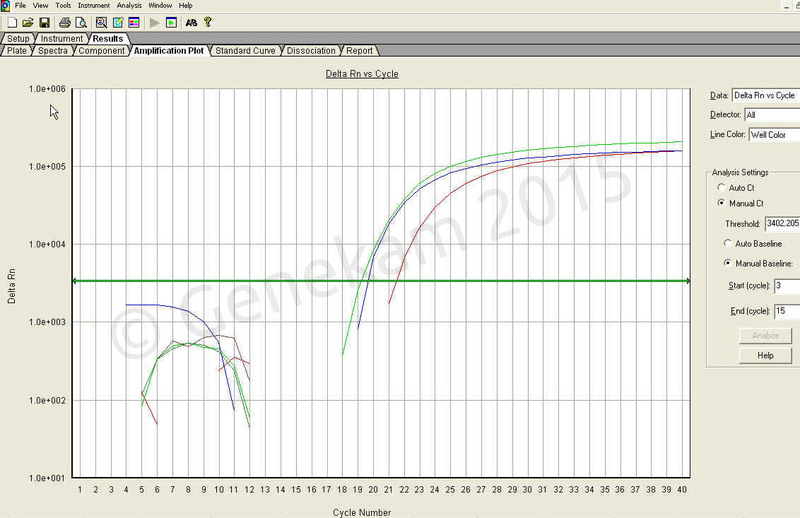 Many times, one needs to teach the people to take preventive measurements e.g. hygienic (clearing the hands, keeping away from the infectious source and avoid eating the diseased animals). These preventive measurements can be communicated through media like newspaper, internet, TV and radios. Some measurements can be complex and difficult to be achieved as they touch many aspects of public life. Moreover press starts making headlines to create panic in public. These can be avoided, if many countries are running regular monitoring of such viruses. Genekam Biotechnology AG is offering such tests, which can help to contain the outbreaks or even help to prevent the outbreaks before they appear. Detection of such viruses is also the basis of development of new therapies and vaccines. Many of our tests needs one drop of blood and nasal swabs e.g. MERS / Ebola to give most accurate results. There is an urgent need of establishment of laboratories around the world to monitor these viruses regularly. 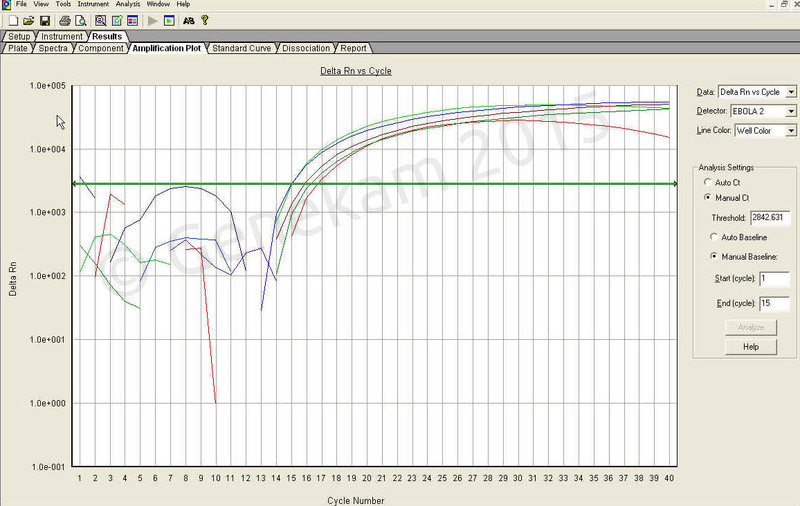 MERS has human to human transmission, hence one need much stronger measurements before it is late for the world. It is not the duty of a few institutes like WHO and UNO, it is duty of the countries, where these outbreaks are occuring to make arrangements to stop these viruses at the earlierst stage because many solutions are available on the markt. Special price Africa are for countries in underdeveloped regions of Africa (not for countries South Africa, Nigeria, Egypt. Tunisia, Libya, Algeria etc). and they are valid till the end of Oktober, 2014. 5. Ebola virus is one of major threat in many of African countries and it is spreading to other countries. At present, there is no treatment available for this virus, however missing treatment option does means that one has to follow old wisdom: prevention is the best cure in medicine. Hence there are many ways to stop this virus. Even if one is getting infection usually, it does not mean that one is going to die as our body has immune system and it fights back and it depends on many factors e.g. load of virus, immune system status but Ebola virus is very fatal, hence every precaution should be taken to prevent this virus to infect the other people as well as hosts. Breaking downing the transmission cycle is one of important path to prevent the spreading of this virus. To break down of such cycle, there are a number of issues to be tackled e.g. infected person should be isolated, health care workers should be protected strongly and intermediate hosts should be eliminated as source of infection or contact with intermediate host should be prevented and soon. At present, many physicians from the world community are trying to help the patients, but it seems that many of them working with Ebola patients do not have sufficient knowledge of virology and virus transmission mode, hence we are going to see many more infections of health care workers in near future provided they are strongly taught how to avoid such fatal viral infections. The knowledge acquired during their medical studies is not sufficient for many of physicians to prevent themselves getting such infections. The press reports show clear that there is lack of proper safety measurements in Ebola virus transmission, hence spread of infection of Ebola virus among the health workers and their relatives is going to occur again and again. 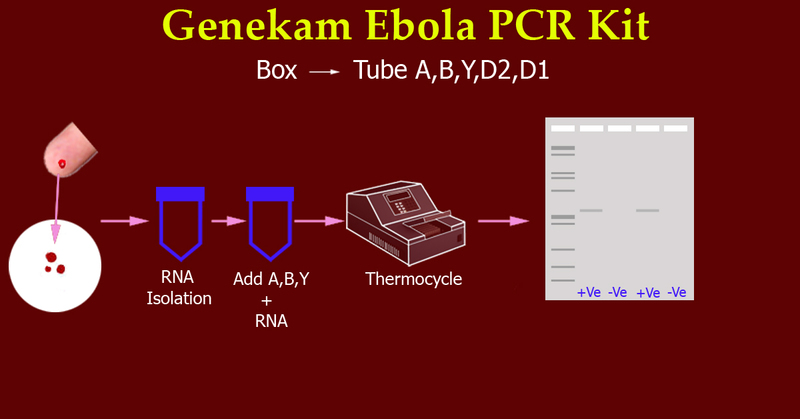 Therefore Genekam Biotechnology AG have decided to bring our some kits, where one can have information, chemicals and instruments in order to reduce the spreading of Ebola virus leading to prevention of Ebola virus. Genekam has developed different kits one is for home and health care persons as well as 2nd is for professionals e.g. virologist, pathologist, microbiologist etc. If any questions, kindly ask for further information.